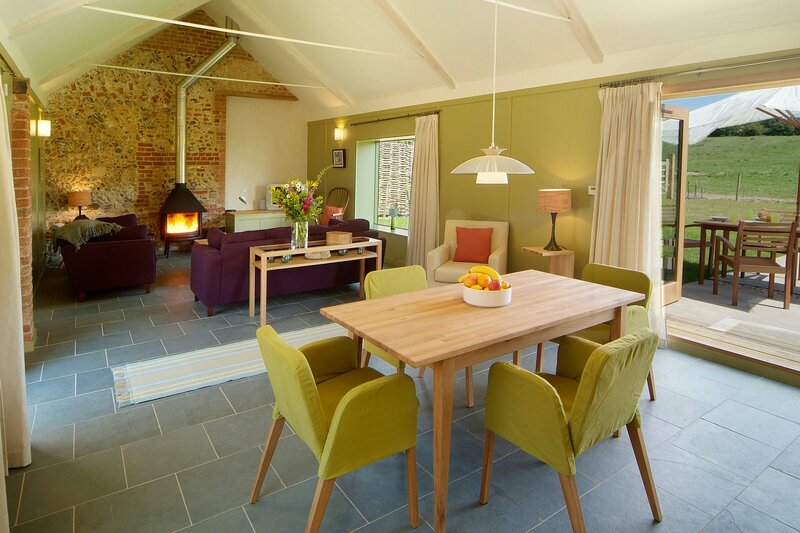 Barsham Barns, Barsham, Wells-next-the-Sea, Norfolk, sleeps 4-52 in 26 bedrooms. 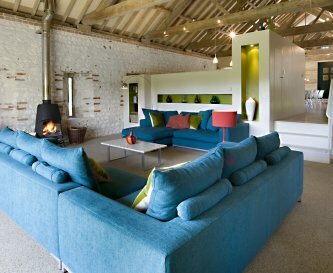 The Great East Barn (sleeps 14) was converted from the massive 19th century granary. 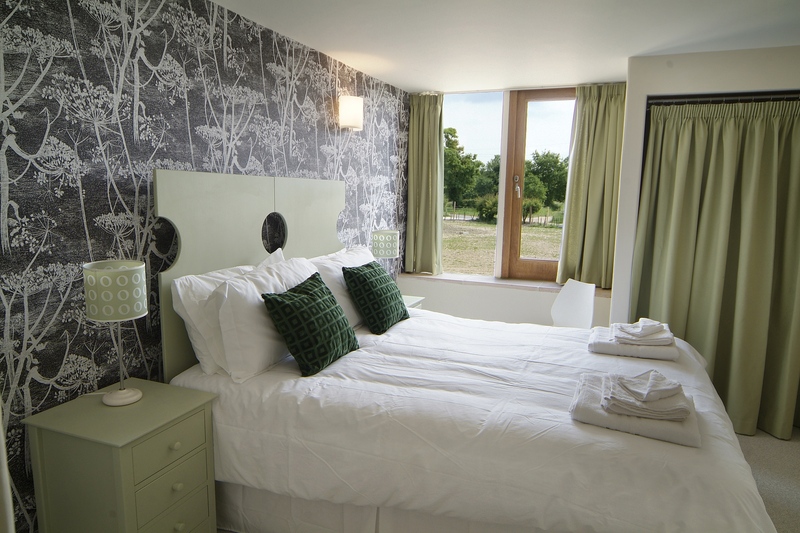 From the comfort of the first floor sitting room, where rustic clunch walls set off crisp modern furnishings, you can gaze across calm green fields and grazing sheep. 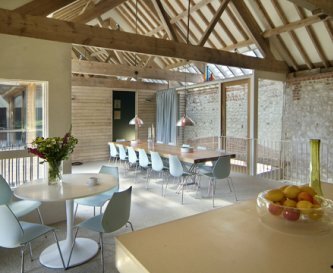 In this barn, country meets city by combining designer details with vernacular building techniques. May be booked with Long Meadow to accommodate 22. High Barsham (sleeps 12) was once a threshing barn but has now been transformed into spacious living accommodation. Bronze lanterns and coloured glass illuminate the embroidered cushions and wood of the interior, combining contemporary detail with an eastern influence. 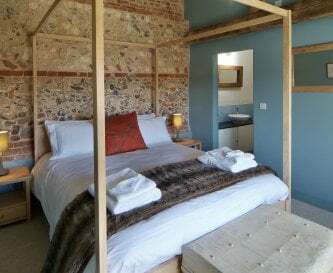 Grey’s Court (sleeps 10) is a very spacious single-storey brick and flint building has been converted from the old stables, and has lovely views across undulating meadow to the little Victorian flint church. Its generously proportioned and panelled main rooms have a cool Scandinavian mood, decorated in relaxing shades of blue and green. 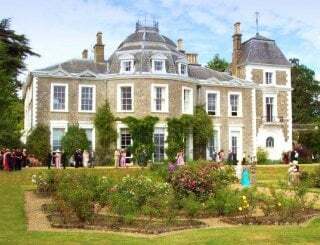 Maybe booked with Little Barsham to sleep 14. 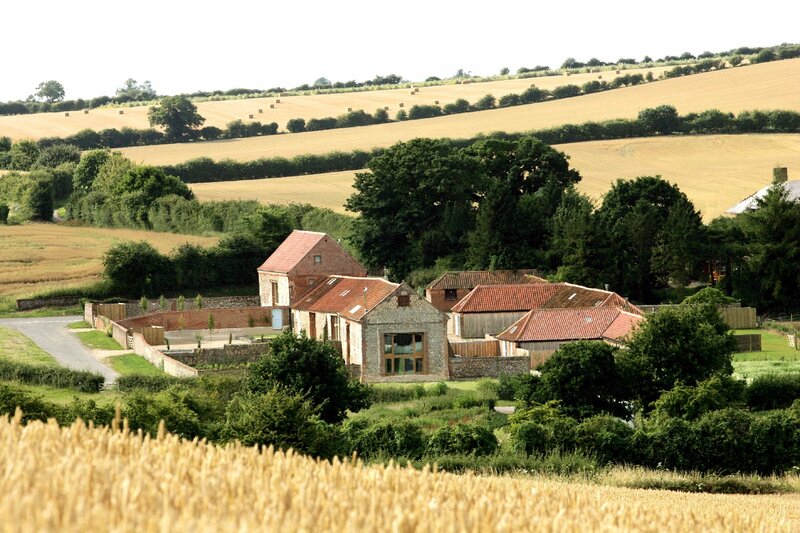 Long Meadow (sleeps 8) was most recently the milking parlour and, dating from 1715, is the oldest property on the farm. The barn has clunch walls, a local chalk building material, which gives it unique character. 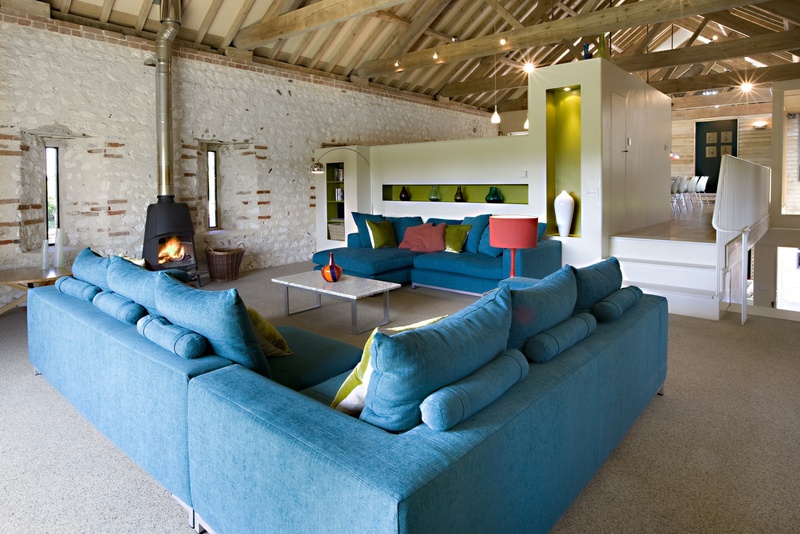 This barn has an elegant but relaxed French country feel, blending colour and texture. 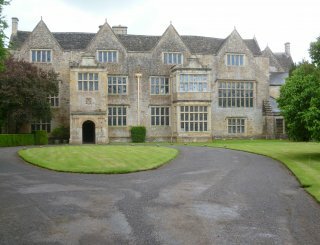 May be booked with The Great East Barn to accommodate 22. 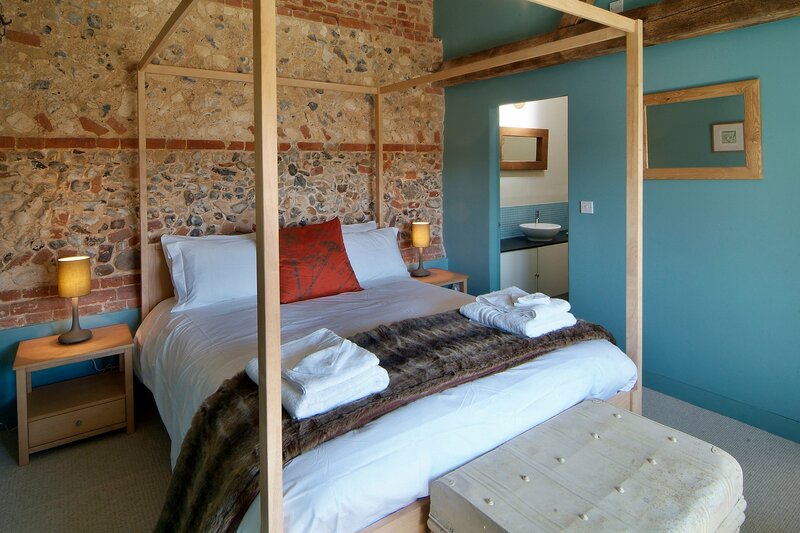 Little Barsham (sleeps 4) was in the past used for rearing lambs and sheltering sheep. 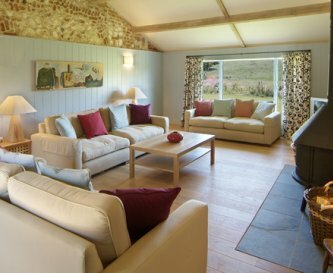 This barn has an intimate atmosphere: sunny cottage in summer or snug hideaway in winter. 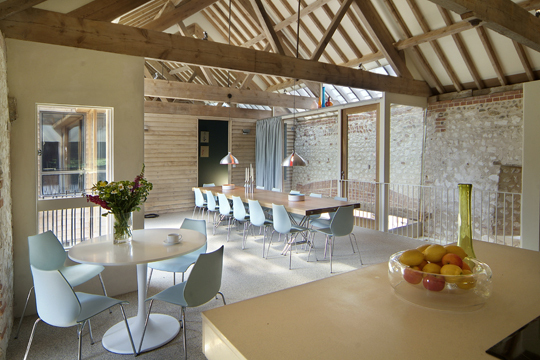 Built from traditional Norfolk brick and flint, there are exposed beams and big picture windows with more contemporary touches. 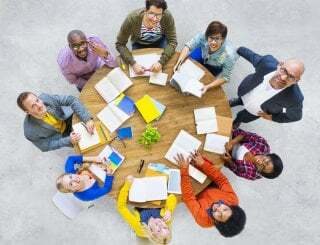 The Loosebox also sleeps 4 and offers another breakout space for business groups. The kitchens are all very well equipped to a high standard for entertaining and open to the dining room so you can chat while preparing meals. 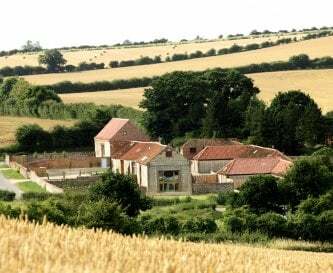 Each barn has a spacious dining room with wonderful views over meadows and gently rolling countryside, or sunny private courtyard. 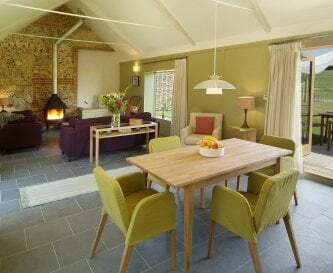 Sitting rooms have lovely views and open onto the gardens. 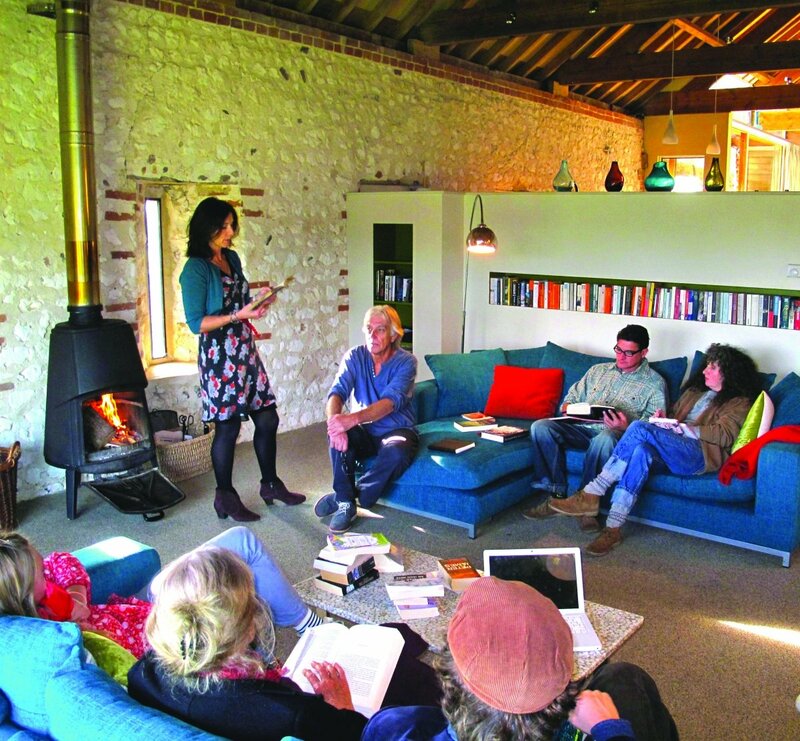 Woodburning stoves in 5 barns make them cosy in winter and all have underfloor heating. Terrestrial TV, Freeview, DVD, radio, CD system. A games room with table football and a table tennis table. Boules and badminton racquets available on request in summer. 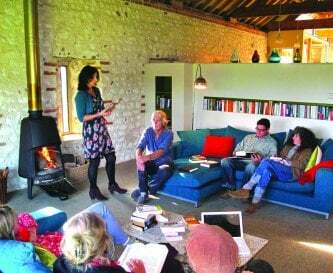 Central heating and wood burning stoves. The Loose Box has underfloor heating but no woodburner. 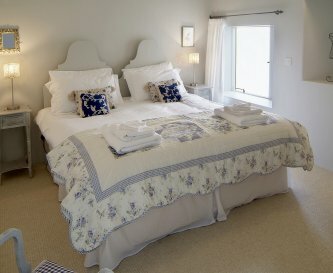 The bedrooms are equipped with comfortable mattresses, 100% cotton bedlinen, all beautifully decorated. Some zip and link beds for flexibility. All linen and towels provided. 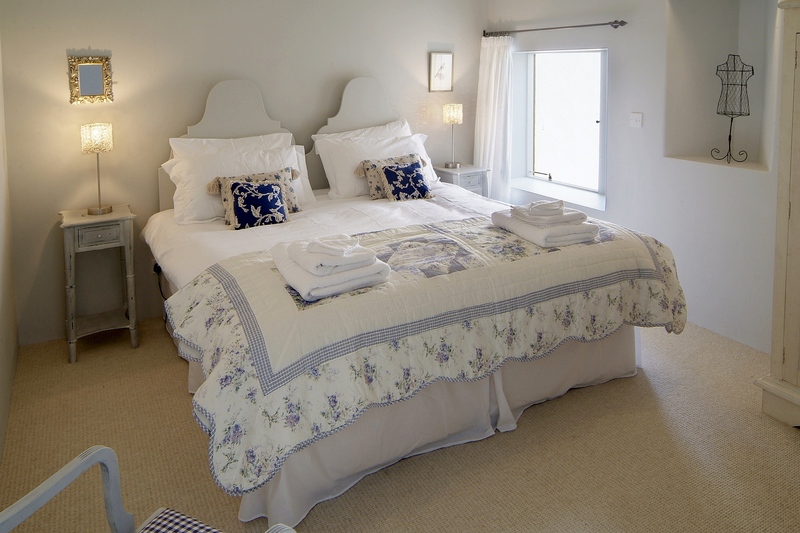 100% cotton sheets and duvet covers and fluffy white towels. Most bedrooms have either ensuite bathrooms or showers. 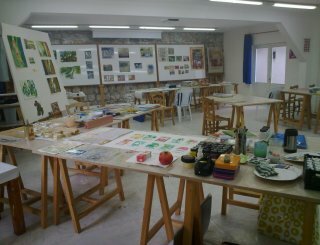 Some of the barns are suitable for wheelchairs. Please ask for details. Children most welcome. Baby cots, high chairs, baby monitors, sterilisers, bedguards, changing mats and other baby equipment available on request. 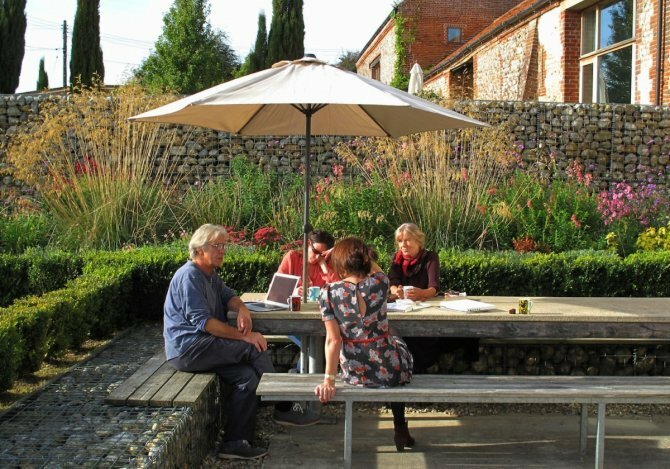 All of the barns have their own private gardens with terrace, lawned area, barbecue, dining table and chairs, all with fabulous views. No, but we do have a large spa pool and steam room. 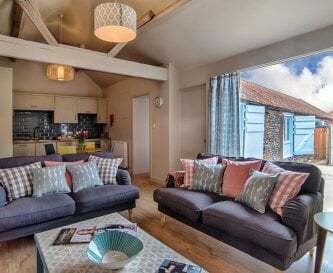 Barsham Barns holiday cottages lie in a tranquil little river valley, almost in a world of their own, yet within easy reach of the North Norfolk coast, Holkham and Wells-next-the-Sea. 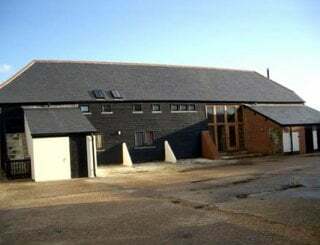 Farm shop in Walsingham, 2 miles. 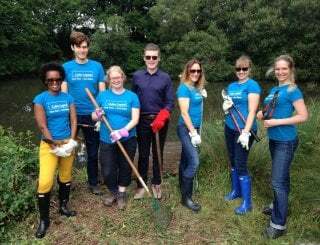 Little Walsingham, 2 miles and Wells next the Sea, 5 miles. 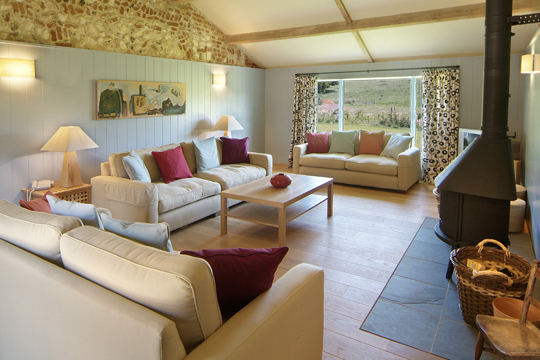 From £440.00 for w/end in The Loose Box to £3985.00 for a week in The Great East Barn in summer. 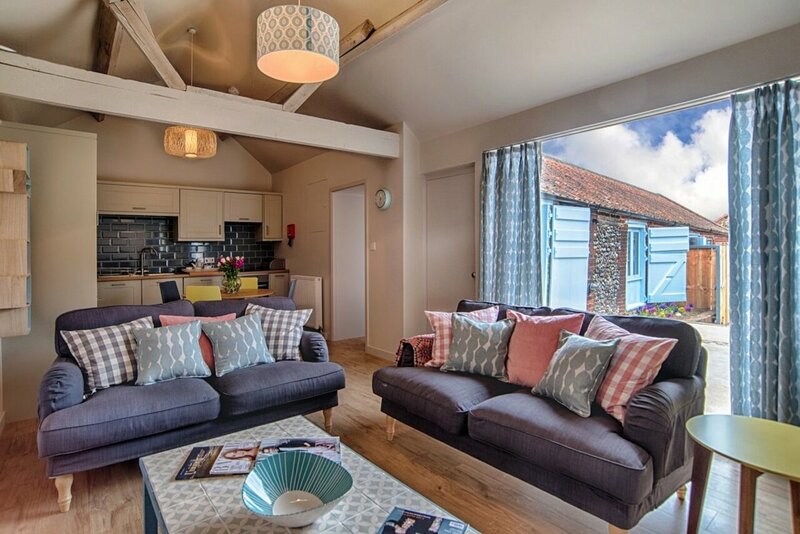 From £7500.00 to £9500.00 to book the whole site sleeping 52 for a weekend, season dependent. King's Lynn, 30 minutes drive. 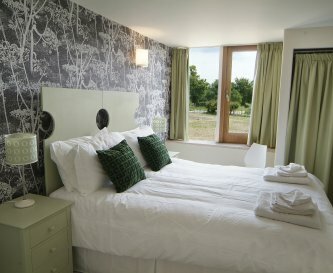 From £35 ppph depending on season and room occupancy. Breakfasts, lunches and evening meals can be either delivered or catered from £5-40 per head.